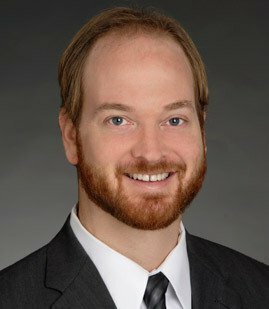 General and complex civil litigation with emphasis on copyright, trademark, business torts, contract disputes, entertainment representation, and employment litigation. Extensive experience researching complicated legal issues and preparing significant briefs and motions in federal and state trial and appellate courts as well as in alternative dispute resolution proceedings. Second chaired trial obtaining $50 million verdict against former in-house counsel for entertainment industry client. Member of litigation team that represented NBC/Universal in defeating a request to enjoin release of the motion picture Death Race. Drafted motion to dismiss and obtained dismissal of trademark and related claims against TV One, LLC. Obtained dismissal of claims against Warner/Chappell Music based on dispute over royalties from Sly and the Family Stone recordings. Obtained dismissal, approved in Court of Appeal, of claims against Motion Picture Association of America based on television royalty dispute. Negotiated favorable settlement after mediation of copyright infringement claims against international film producers. Represented trademark owner in obtaining favorable settlement against retailer that had used trademarks and likeness in advertising without permission. Obtained favorable verdict in bench trial on behalf of destitute client claiming a life estate in his condominium. Represented film rights holder in successful settlement of breach of contract and related claims. Second chaired trial in successful defense of removal and breach of duty claims against trustees of large family trust. Negotiated favorable settlement of dispute over intellectual property and other rights to line of hair care products. Member of team that obtained a favorable settlement of claims against guarantors of film production loans. Represent major internet content distributor in film distribution dispute. Represented copyright owners in compulsory license royalty litigation. Assisted in drafting a variety of contracts for bands, producers and record companies, including band agreements and producer agreements. Member of litigation team that obtained a defense verdict in trial of multi-million dollar claims regarding high-end housing development. Member of litigation team that represented major motion picture and television companies in writers' class action age discrimination cases. Member of team that achieved a favorable settlement on behalf of a major arts and cultural institution in employment discrimination and retaliation suit. Member of team that obtained judgment that a local ordinance and its enforcement as to major security alarm association and alarm companies was unconstitutional and unlawful. Member of team that obtained summary judgment, affirmed in Ninth Circuit, in favor of defendant bathtub manufacturer in suit alleging several violations of state and federal law. Obtained dismissal of claims against security alarm company in housing defect claim. MSK's Lucia Coyoca Selected Among the "Attorneys of the Year"
Legislating Access to Video Games?